Bollywood actor Akshay Kumar, wife Twinkle Khanna and their children Aarav and Nitara were photographed outside a restaurant in Bandra. Aarav was dressed in a black t-shirt and matching denim while Nitara looked pretty in a light blue dress. Twinkle Khanna and Akshay Kumar stopped on their way to the restaurant to pose for photographers. 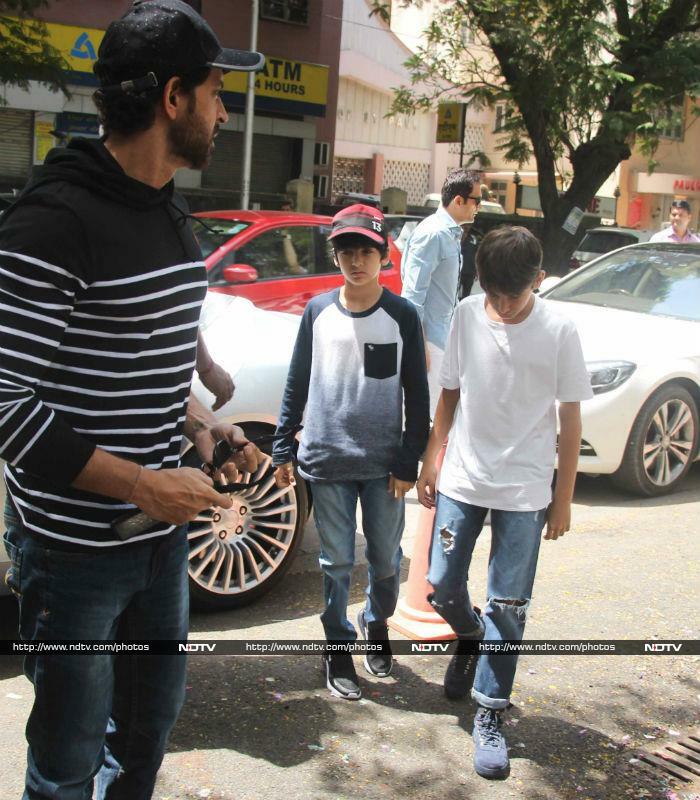 Hrithik Roshan and his family too were photographed outside the same restaurant in Bandra. Hrithik's ex-wife Sussanne also accompanied the actor and her children Hrehaan and Hridaan. Hrithik's ex-wife Sussanne also accompanied the actor and her children Hrehaan and Hridaan. The Super 30 gladly waved at the photographers. Later in the night, Raveena Tandon with husband Anil Thadani, son Ranbir and some elderly members of the family were spotted outside a restaurant in Bandra. Anil Thadani was dressed in a tshirt and denim capri. Ranbir Thadani was also photographed. Raveena Tandon looked pretty in a light blue top and white jeggings.